Demonstrating the need for more media education in the schools, a kid on the street recognized my Halloween costume as … Einstein! Needless to say, I corrected him gently, informing him that in fact – as everyone should know by now – it’s not Einstein but Einstein’s monster! 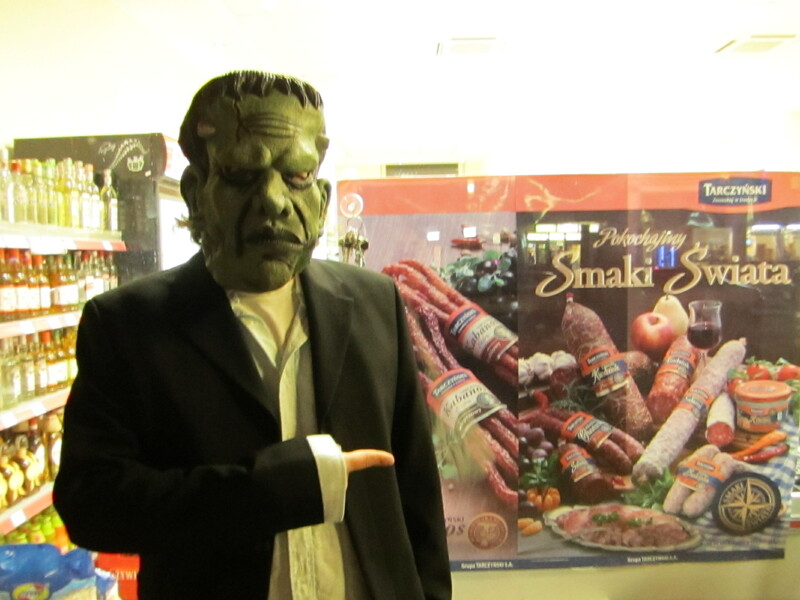 Happy Halloween, Or: Who’s Afraid of Media Theory? What’s there to be afraid of anyway? The video above, which I repost here for Halloween, offers one sort of approach to this question by recontextualizing cinematic horror against a more diffuse sort of horror that emanates from a changing media environment. The video is a screencast of a talk I gave at the 2010 annual meeting of the American Studies Association: “Media Crisis, Serial Chains, and the Mediation of Change: Frankenstein on Film.” Thematizing transitional phenomena of media change and transformation, the paper itself occupies a transitional place between my dissertation, Postnaturalism: Frankenstein, Film, and the Anthropotechnical Interface, and my current postdoctoral research on “Serial Figures and Media Change” (with Ruth Mayer, part of the DFG Research Unit “Popular Seriality–Aesthetics and Practice”). The talk attempts to excavate a forgotten experiential dimension–an experience of crisis related to changes in the media landscape–that uncannily informs the iconic image of Frankenstein’s monster. The notion that media changes precipitate phenomenological crises, as I put forward here, is informed by Mark Hansen’s view that media define “the environment for life” (or, more generally, the environment for agency, as I propose in Postnaturalism). While media are embodied in discrete apparatic technologies, they are inseparable from the total milieu of agential capacities; media changes thus have both a local and a global dimension, and it is this global aspect (and the networked distribution of human and technical agencies that it signifies) that explains why media changes might occasion affective states of crisis, anxiety, the uncanny, or present themselves as just plain scary. Zombie Media Talk: Garnet Hertz (ca) and Jussi Parikka (fi) present their “Zombie Media” project from transmediale on Vimeo. Digital Spectrology is that dirty work of a cultural theorist who wants to understand how power works in the age of circuitry. Power circulates not only in human spaces of cities, organic bodies or just plain things and objects. Increasingly, our archaeologies of the contemporary need to turn inside the machine, in order to illuminate what is the condition of existence of how we think, see, hear, remember and hallucinate in the age of software. This includes things discarded, abandoned, obsolete as much as the obscure object of desire still worthy of daylight. As such, digital archaeology deals with spectres too; but these ghosts are not only hallucinations of afterlife reached through the media of mediums, or telegraphics, signals from Mars, the screen as a window to the otherwordly; but in the electromagnetic sphere, dynamics of software, ubiquitous computing, clouds so transparent we are mistaken to think of them as soft. Media Archaeology shares a temporality of the dead and zombies with Hauntology. Dead media is never actually dead. So what is the method of a media archaeologist of technological ghosts? She opens up the hood, looks inside, figures out what are the processual technics of our politics and aesthetics: The Aesthetico-Technical. – inspired by the work of MicroResearchlab – Berlin/London, the short text was written for Julian Konczak/Telenesia. On the occasion of the first screening in our Bollywood Nation film series, which is set to begin in just under an hour from now (with Swades – more info below, and here), Jatin Wagle has put together the following very useful background information on Bollywood and tonight’s film. 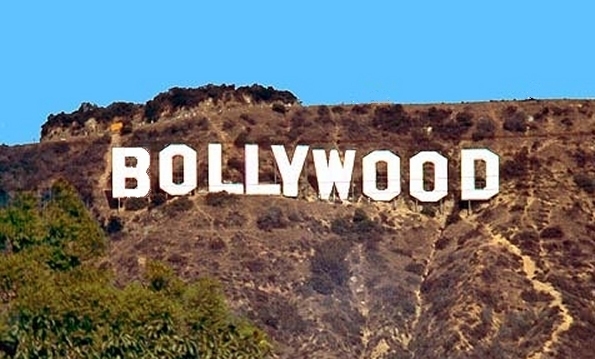 Bollywood: A widely accepted but not unproblematic term for Hindi/Urdu/Hindustani language commercial cinema in India. The expression is problematic because it suggests a close relationship with or dependence on Hollywood. Even as American popular cinema remains an important frame of reference and influence for Hindi cinema, straightforward comparisons are not necessarily useful. Although the films are actually shot all over the world, the undisputed site of production of commercial Hindi cinema is the megacity of Mumbai (or Bombay as it was called before 1995). In this sense, Bollywood is both about India and Mumbai, or to be more precise, about the Indian nation as it is constantly imagined and staged in the crowded, multilingual diversity of the metropolis. There are no clearly defined genres in Hindi commercial cinema. Instead, a typical Hindi film contains varying elements of romance, melodrama, action and comedy interspersed with song-and-dance sequences. The principal reason for this has been the complex mode of production – called “disaggregated” by M. Madhava Prasad – and the precarious mode of distribution of films in India. Although Hindi cinema has been perhaps the most significant site for the social/cultural negotiation of the Indian nation, until 2001 it was not accorded the status of an industry by the Indian Government. This has meant that over the years Hindi films have been financed through more-or- less informal networks, and this financial precariousness lies at the root of Hindi cinema’s reluctance to fragment its potential audiences. This used to be evident until a few years ago, i.e. before the advent of the multiplexes, in the typical experience of watching a Hindi film in an Indian city, when one invariably watched it with the family in a “cinema theatre” with a seating capacity of around a thousand. Thus, instead of genres, Hindi commercial cinema has historically developed a range of masala [Gewürzmischung] or formula films, i.e. mixes of or compromises between plot compositions, narrative structures and genre elements. For instance, the popular masala films of the 1970s were slight variations on either the lost-and-found/family reunion plot (e.g. Yaadon Ki Baaraat 1973) or the angry young man action hero format (e.g. Deewaar 1975, Amar Akbar Anthony 1977). From the mid-nineties, a new sort of masala film has become popular, with a diaspora setting (or at least a strong diaspora component) and an NRI (non-resident Indian) protagonist who portrays a guiltless blend of so-called Indian tradition with Western modernity. Swades: We are beginning our film series titled, needless to say with obvious irony, “Bollywood Nation” with a film aptly called Homeland. Even with its NRI protagonist, played by Shahrukh Khan, and its partial diaspora setting, this film is untypical for a variety of reasons. Its expatriate protagonist is different from the typical hero of the recent NRI masala film. Although successful in the West, he is plagued by the guilt of having left behind the land of his past, a developing, third-world country with its complicated challenges, for a relatively uncomplicated life in the U.S. In terms of its aesthetic, the film is not obviously “camp” [filmy] and has been described as more “realistic” than a typical Bollywood film. Although it was not really a box office success within India, Swades sold well in what have been called the diaspora markets, and its music composed by A. R. Rahman became popular even within India. Ashutosh Gowariker, who wrote the script, and produced and directed the film, is known for at least one more film, Lagaan [Land Tax] (2001), which was nominated for the Academy Award for Best Foreign Language Film. Before Lady Gaga: “Call all you want, but there’s no one home / And you’re not gonna reach my telephone” (2009). Before E.T. : “E.T. phone home” (1982). There was Johann Philipp Reis: “Das Pferd frisst keinen Gurkensalat” (1861). In honor of the telephone’s 150th birthday, the Süddeutsche Zeitung has an entertaining little article by Bernd Graff (here). Graff’s brief cultural history (“kleine Kulturgeschichte”) of the telephone also touches (very lightly) upon some of the more interesting techno-phenomenological aspects of human-telephone relations, and there are some concluding thoughts from Benjamin, Proust, McLuhan, and Flusser. (Keep in mind, it’s a popular article, but it plants some nice seeds for further thought and research.) Also interesting: Die Zeit Online has a brief summary of Johann Philipp Reis’s life, written especially for kids, with a pointer to a radio program this coming Sunday, at 8:05, on NDR Info (Mikado – Radio für Kinder). Next week in my “Game Studies” seminar, we’ll be discussing Nick Montfort’s great article “Combat in Context” (from Game Studies 6.1, December 2006). As the proud owner of an Atari 2600 (wood-grain but 4-switch variant), and as a firm believer that the specific material implementation of a game makes a big difference in players’ experience of it, I thought I would bring my console and the game and give students the opportunity to try it out for themselves (which we’ll be doing in an extra session this Friday; and speaking of material implementation, it will be my first time hooking up a 2600 to a digital projector). I came here to lend my support to you today, to offer my solidarity, for this unprecedented display of democracy and popular will. People have asked, ‘So what are the demands? What are the demands all these people are making?’ Either they say there are no demands and that leaves your critics confused—or they say that the demands for social equality and economic justice are impossible demands. And impossible demands, they say, are just not practical. If hope is an impossible demand, then we demand the impossible. If the right to shelter, food and employment are impossible demands, then we demand the impossible. If it is impossible to demand that those who profit from the recession redistribute their wealth and cease their greed then yes, we demand the impossible. Also, see here for John Protevi’s fascinating take on Butler’s speech in the context of an earlier talk she gave in Venice and the embodied, affective dynamics of the so-called “human microphone,” which we’ve now seen Butler, Zizek, Michael Moore, and others utilizing at Occupy Wall Street. This is a reminder that our Bollywood Nation film series will begin on Thursday, October 27, 2011, at 5:00 pm in room 615 (in the “Conti-Hochhaus” at Königsworther Platz 1). The first film will be Swades: We, the People [Homeland] (Dir. Ashutosh Gowariker, 2004, 187 mins. ), a late renegotiation of the “brain drain” paradigm that could serve as a contrast to the new global NRI films. Set in modern day India, Swades is a film that tackles the issues that development throws up on a grass root level. It is to this India, which is colorful, heterogeneous and complex that Mohan Bhargava (Shah Rukh Khan), a bright young scientist working as a project manager in NASA, returns to on a quest to find his childhood nanny. The film uses the contrast between the highly developed world of NASA, which has been at the forefront of advances in space research, and this world back home in India, which is at the crossroads of development. Mohan’s simple quest becomes the journey that every one of us goes through in search of that metaphysical and elusive place called “home”.